This page describes the standard procedure to modify code of weex. Weex adopts Apache License 2.0 as its open source license. Make sure your potential contribution obeys the requirement of Apache License 2.0. # Bug or Feature ? If you are going to fix a bug of Weex, check whether it already exists in Github Issue. If it exists, make sure to write down the link to the corresponding Github issue in the PR you are going to create. Writing a email to mailing list to talk about what you'd like to do. Fork the Github repository at https://github.com/apache/incubator-weex. Clone the forked repository and create a new branch from master to push your commits to. Develop your feature or bug fix in your new branch. Make sure your code meets the style guidelines. Add the License below to the top of any new file(s) you've added. Commit all the changes to your branch. If you are writing Java or C++ with Android Studio, License will be added to the head of the file automatically. Tabs should be used for indentation. Please do not use spaces. For function definitions, place each brace on its own line. For all the other braces, place the open brace on the line preceding the code block and place the close brace on its own line. Use Google Java Style as basic guidelines of java code. Follow AOSP Code Style for rest of android related code style. Weex defines a subset of the Google C++ development specification that covers some of the major C++ scenario usage specifications. 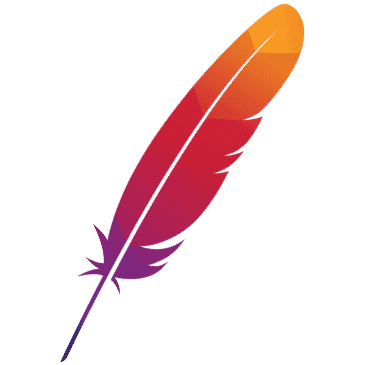 Open a pull request against the master branch of apache/incubator-weex. Make sure following guidelines are considered when creating a pull request. One PR should solve only one problem. COMPONENT is one of the mentioned PR categories (android, iOS, JsFm, web, test, etc..). Summary should be a brief description of your change within one sentence. If the PR is about fixing a bug excluding crash, a demo is necessary in code's description. If the PR is about adding a new feature, another PR for documentation is necessary in codes' PR description. Optional If the PR fixes an existing Github issue, you may add the link to the corresponding issue in the PR. Reviewing PR may take a great deal of time, please be patient. If your PR doesn't get response over 96 hours, you might send an email to mailing list to ask the progress.